I am one of those people that seems to always be rushing around trying to get everything done. I set high expectations for myself, and like to accomplish everything that I set out for each day. When rushing around working and taking care of things, it can be all too easy to forget about taking care of myself. This year, one of my New Year's resolutions was to treat my body better. This means eating a healthier diet, drinking plenty of water, getting more exercise, and just being healthy in general. I have been doing a great job of getting in my 8 glasses of water a day and of eating healthier and more nutritious meals and trying to snack on fruit and veggies rather than sweets. Getting more exercise has been difficult during this cold weather, but I look forward to being taking nice long walks come the spring. 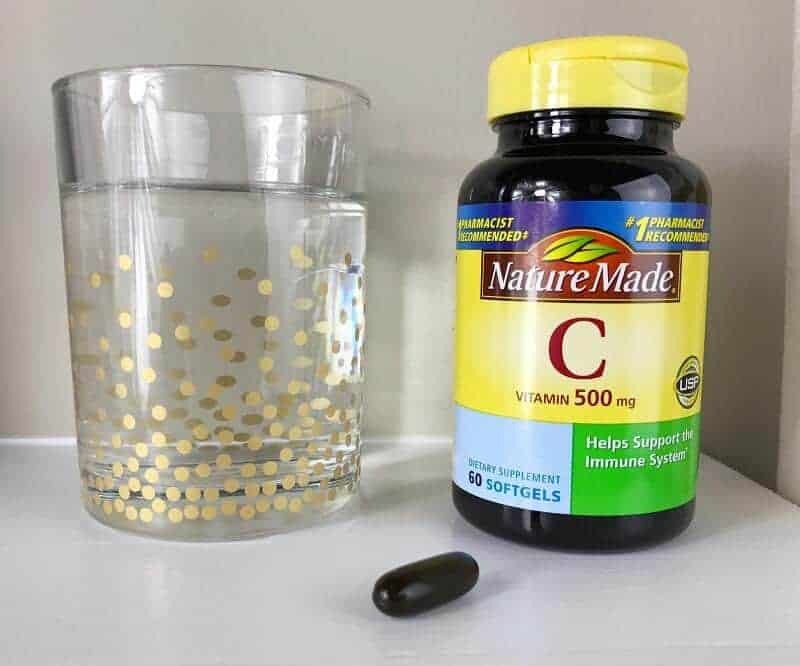 I order my Nature Made Vitamin C softgels on Jet.com along with my groceries, but you can also find Nature Made Vitamins in your most local supermarkets or pharmacies. Nature Made products are amazing. I use several of their supplements. My daughter is sick right now and I am plying her with tons of vitamin C. Hoping she kicks this bug fast with an immune system boost! I love Nature Made. That’s our go to brand for vitamins. 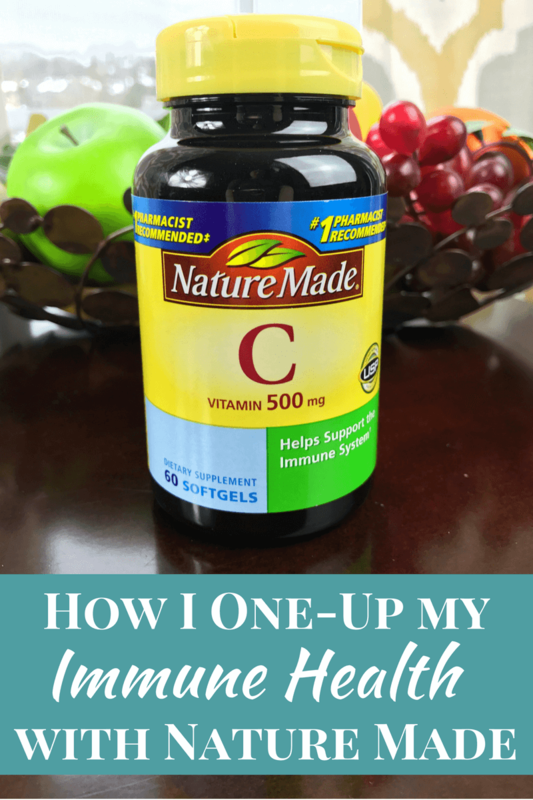 I have to take Vitamin C regularly, because my immune system is weak. If I don’t take it regularly, I’m susceptible to getting sick pretty quickly. I always seem to get sick when the seasons change (now!) so ensuring my immunity is at its strongest is very important. I like the idea of taking supplements to help achieve that. 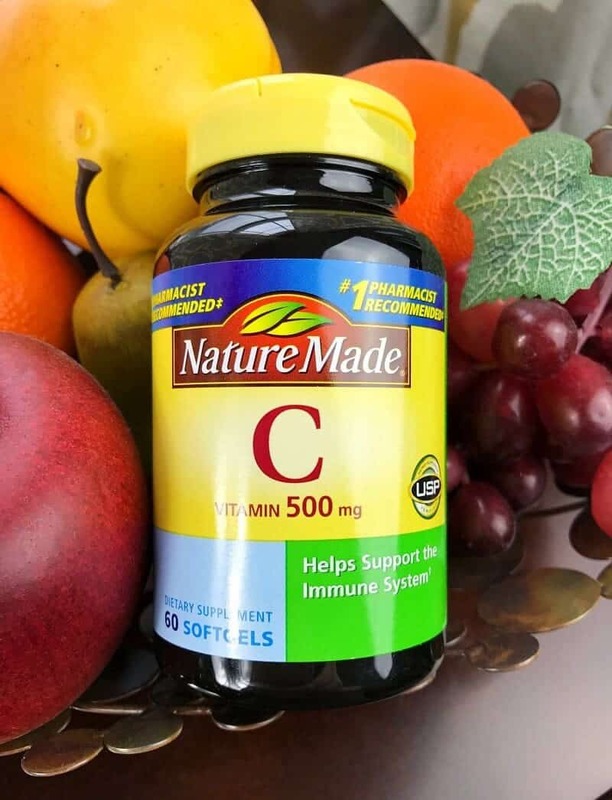 Even as a kid my parents always had us take Vitamin C. Now as a mom … I am the same way. Always good for the immune system for sure. Heading to the Nature Made Facebook Page now. Thanks for the tips and info. I’m always looking for ways to be healthier. I like to take Vitamin C as well to boost my immune system. I trust Mature Made! Otherwise I would have never taken it or have given the vitamins to my kids! My immune system is shot so I feel better taking them after my stem cell transplant. Thank you for the info on the contest! I entered ? I meant to type Nature Made! I haven’t actually tried taking vitamin C by itself. I take a multivitamin that is basically a super prenatal vitamin with a boost. With that and taking Probiotics I feel okay. I still have very low energy and am always tired because I can’t sleep half the time. I have Hashimotos something or the other, it is an auto immune disease and that does not help. Still trying new things. Indeed need to keep my immune system UP as well! Thanks for sharing this! ! Nature made has always been successful to me.